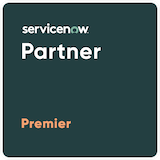 Rely on a decade of ServiceNow experience behind your project. Our dedicated platform experts will ensure you successfully deliver on your deployment. Trust the known thought leaders in ServiceNow integrations. We specialize in transactional data exchange, import/export, and single sign-on & authentication. Create user-centric solutions to your business challenges. We listen to your users and learn your processes to produce natural, easy to use applications.